Today, I’m thankful that our cow, Bella, is finally doing her job as a mama cow. 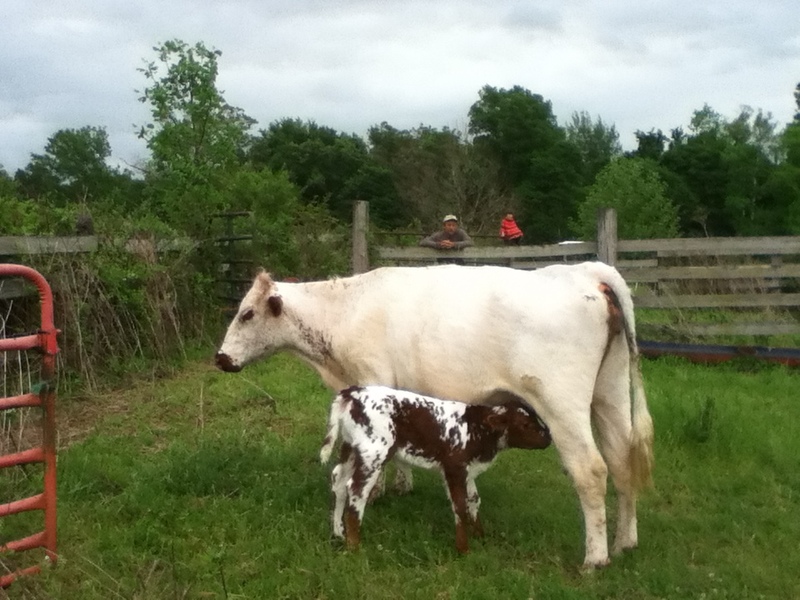 After she birthed this fine little heifer calf, she walked away. Her mothering hormones just didn’t kick in. Well, we really didn’t want the chore of bottle feeding a calf, and we certainly didn’t want to stand by and do nothing as the calf would certainly have perished. So we wrangled a very sassy, snorting cow into the corral, immobilized her in the chute, and let the calf nurse off of her. We had to go through this procedure at least three times a day for a couple of days… but our efforts were rewarded! With the stimulation from the nursing calf, Bella’s instincts finally took over and she started doing her job. She’s lucky, really. A cow that won’t bond with her calf is a cow that quickly finds itself on the cull list. I’m thankful she redeemed herself! And I’m thankful for that spunky and persistent calf that knew what it’s job was! This entry was posted in cher's posts, thankful and tagged bonding, calves, cows, farming, livestock by cher. Bookmark the permalink. What a cute calf! Glad your efforts paid off!